Inside our yoga studios MAGIC happens. 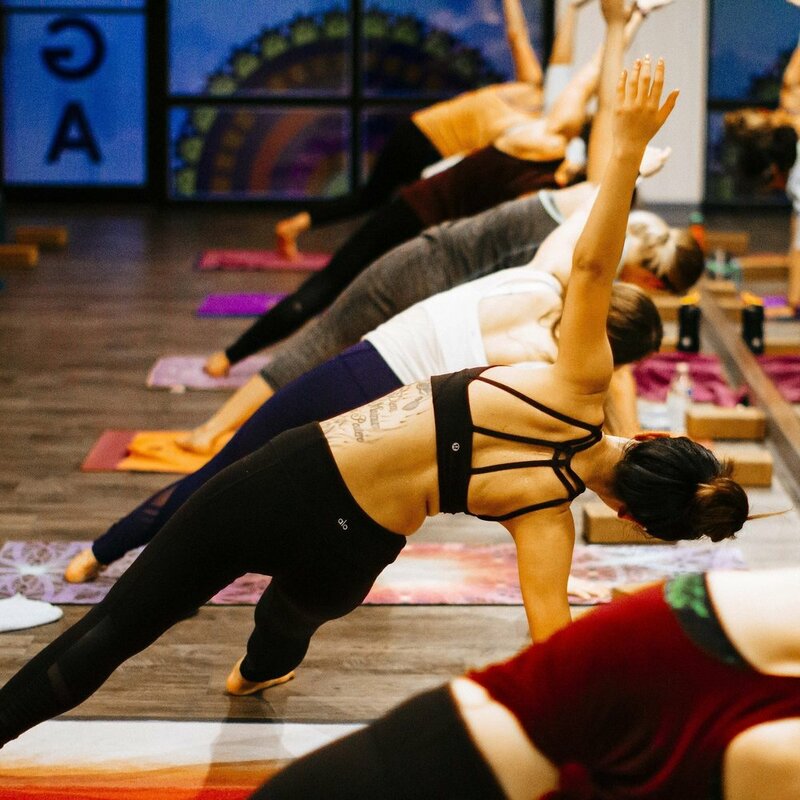 With this high intensity yoga practice you will push yourself beyond what you thought was possible, be challenged physically, turn self-doubt into confidence, and strangers into friends. Join us for a class! Are you local? Your First 2 CLASSES ARE FREE! Find out what all the buzz about HOT YOGA is all about and claim your FREE classes. Our classes are fun, challenging, and build a balance between strength and flexibility. Are you local? Do you live in the Wichita area? If so, your first 2 CLASSES are FREE, no strings attached. No need to register in advance all you need to do is show up 10-15 minutes before the class you want to attend starts. If you are New to Yoga we would recommend you start with Hot Fundamentals or a Foundations Workshop. If you currently practice yoga or have in the past, feel free to attend any of our classes. Ready to Start a Yoga Practice with us? 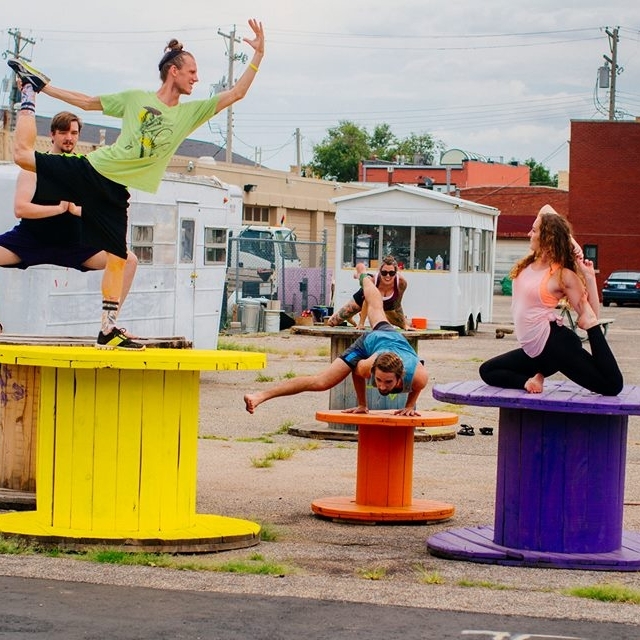 Beer & Yoga at a local Brewery? Partner Yoga? Arm Balance & Inversions Workshops? Sound like fun? Check out our events page and find out what we have planned at the studio and out in the community beyond our normal schedule. Want to deepen your practice? Be part of a yoga community committed to growing and learning about themselves? Interested in teaching yoga? Hot Asana Yoga Studio offers 200 hour Yoga Alliance Teacher Trainings. What sets us apart? Why do our graduates rave about their experience? Want to learn more about our 2018 Yoga Teacher Training? Enhance your practice and practice with us at home. We offer Free online Tutorial videos of some of the fun challenging postures offered in classes. For beginners these might seem completely impossible, until you actual do it. Yoga is so much more than just stretching! Join us for a class and find out what all the Buzz about Hot Asana Yoga Studio is all about.